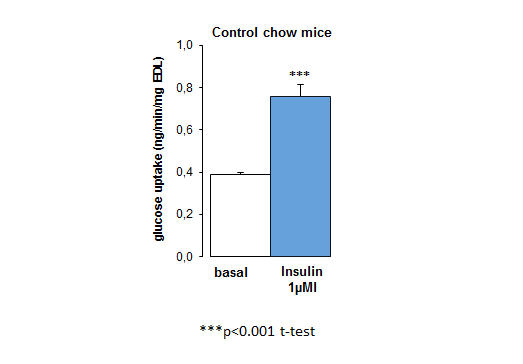 A simple and rapid technique for assessing your compound’s direct effect on glucose uptake in type 2 diabetes and/or obesity. This method can be used both for medium throughput screening and for initial ex vivo proof-of-concept. 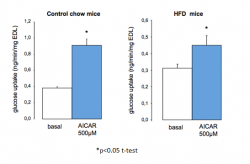 Ex vivo validation on glucose uptake in isolated muscles (a major contributor to blood glucose control). 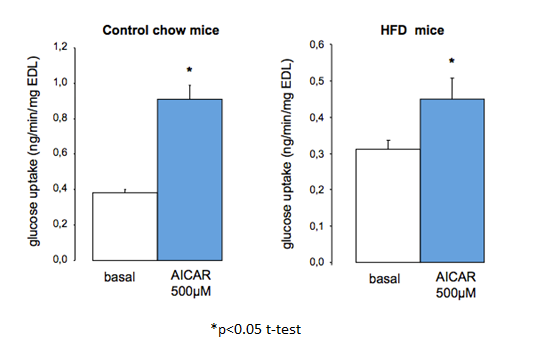 Ex vivo validation on glucose uptake in isolated adipocytes for drugs targeting these cells. 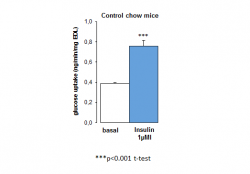 Insights into obesity and/or insulin resistance. Select your best candidates with an inexpensive, reproducible and rapid technique before launching in vivo validation. Viollet B. et al, J. Clin Invest 2003, 111: 3554-63. Duplain H. et al, Circulation 2001,104: 342-5.